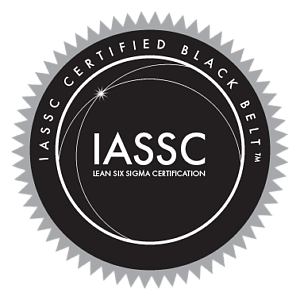 The 3 day classroom IASSC and CSSC Certified Lean Six Sigma Black Belt upgrade course is designed for professionals who have recently passed their IASSC or CSSC 5-day Lean Six Sigma Green Belt training and want to go to the top level of understanding, application and certification. The certified Black Belt will also have the statistical analysis tools to be able to take data-driven strategic decisions, project selection and change management at an enterprise level. The exam is a 4 hour 150 multi-choice question exam which is taken in the classroom on the final day. 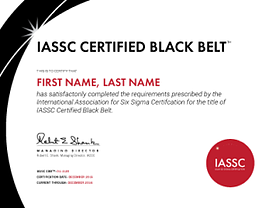 The 3 day classroom IASSC and CSSC Certified Lean Six Sigma Black Belt upgrade course is designed for professionals who have recently passed their IASSC or CSSC 5-day Lean Six Sigma Green Belt training and want to go to the top level of understanding, application and certification.. 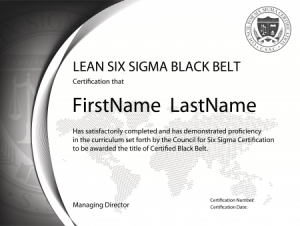 The certified Black Belt will be trained with the statistical tools and understanding of Lean Six Sigma methodology necessary to make strategic decisions and consider the impacts of projects and changes at an enterprise level. The training emphasises a disciplined and data-driven decision making approach for leading problem-solving projects. The course presents all the key concepts necessary to prepare student for the IASSC Lean Six Sigma Black Belt Certification exam. Either Rent or Download a free 30 day trial copy of either Minitab 17 or Minitab Express prior to attending the class. Minitab 17 is prefered if you have a Windows Laptop ( download Free Trial of Minitab 17 here ) however Minitab Express is also sufficient if you use Apple laptop ( download Free Trail of Minitab Express here ).